The Teme Valley Trail is a challenging 4 day trail ride with long days in the saddle and interesting overnight stops. We all look forward to welcoming you on the Teme Valley Trail Ride . . .
Ride to the Teme Valley . . . 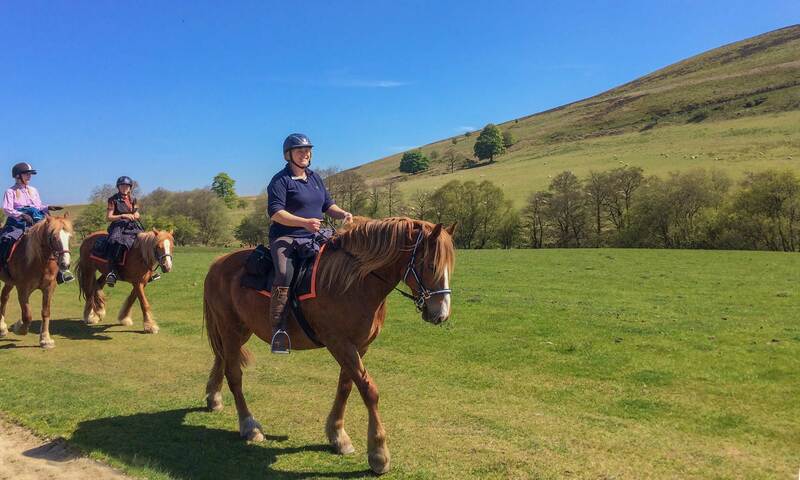 The Teme Valley Trail is a four day trail ride staying overnight at one inn, one B&B and one hotel. It heads all the way up to the Teme Valley on the Shropshire border and is four lengthy days in the saddle of 16-18 miles per day. During this trail, riders experience the full diversity of tracks, terrain and scenery offered by the Radnor Hills. 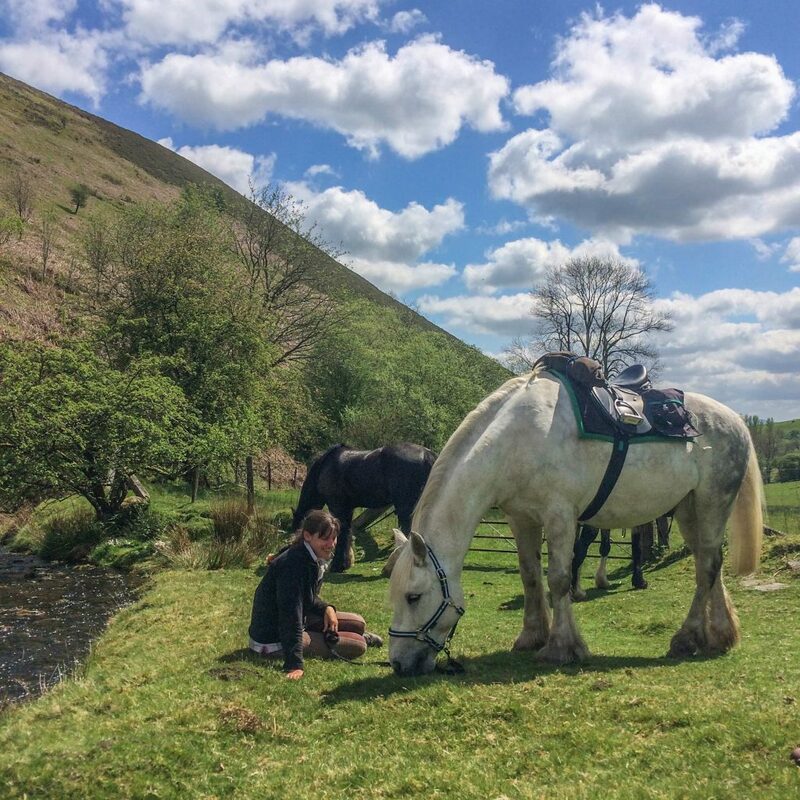 The ride to Old Radnor from Freerein HQ could take you across the moors to the Royal Oak for lunch – but this would mean moving swiftly with plenty of trots. Otherwise bring packed lunches and ride via Glascwm Hill and Black Yat. Here you stay the night at the Harp Inn or Bracken Ridge B&B. Your horses stay the night a 10 minute walk away at a local farm. 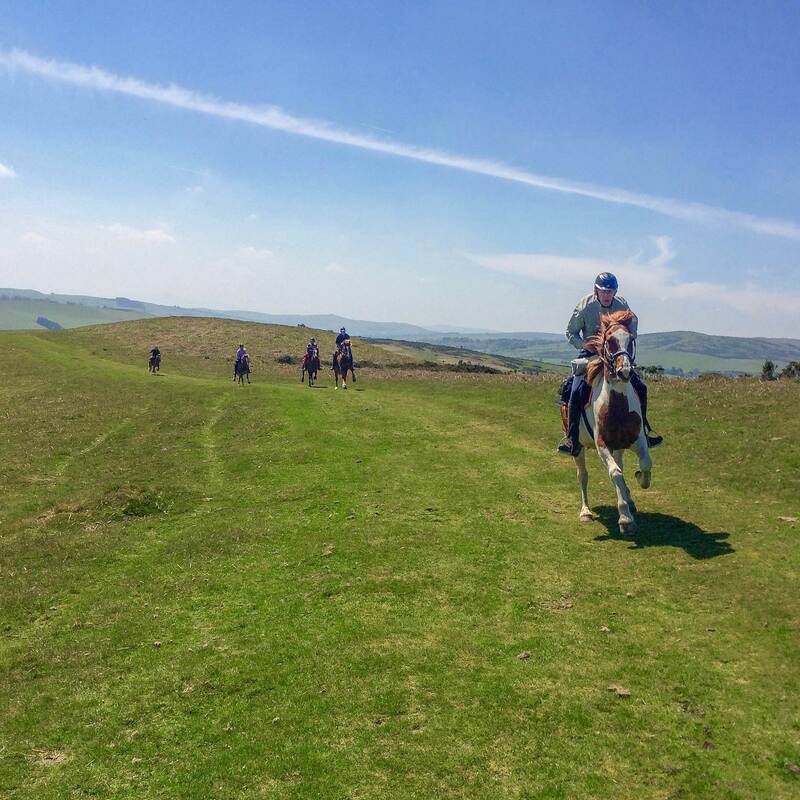 From the Teme Valley to the Severn Arms you will head to the grassy slopes of the Gwyrnygufron Ridge on Beacon Hill, fantastic slightly uphill canters for miles are on offer here. Then across the Bleddfa valley and make your way on to a fine track running beneath the northern side of the Radnor Forest all the way to Penybont and the Severn Arms Hotel, your final night’s stop. The return along the high and exposed western edge of the Radnor Forest (panoramic views across Wales) offers the option to stop at the Red Lion for lunch before the journey back across the rolling hills to Painscastle. Perhaps a swift beverage here at the Roast Ox before popping back over the corner of the Begwns to Freerein HQ. On Trail all day to Belmont Cottages, Knucklas. Long Day, Packed lunch. On trail to the Severn Arms, Packed lunch. Long day coming home. Enjoy that last canter on the Begwns and return to Freerein HQ for tea/coffee and homemade cake. Explore the seldom visited Beacon Hill, interesting and varied on route accommodation . . .